I'm trying to drive a 12V DC solenoid Valve with following diagram. 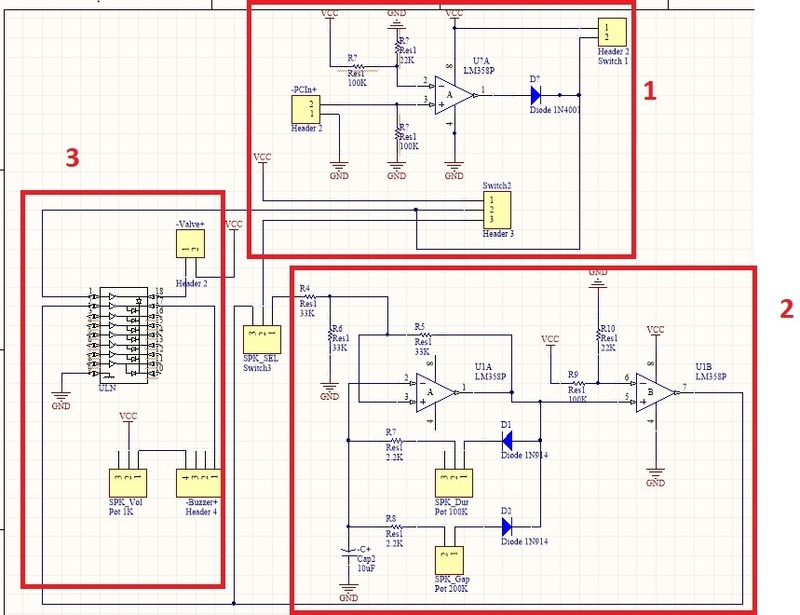 In 1st block the PC input is compared with 2.2V and its output goes to block2 and ULN2003 for driving the valve. The 2nd block is a pulse generator which is used to drive a Buzzer. As said the 3rd block is used to drive Valve and buzzer. 1- When I try to connect the PC input (Using 2 separate wires for GND and +5V), connecting each wire(just 5V or GND is connected) causes that the valve to be on/off many times, It also happens when I touch the PC input wires, what should I do to prevent this? 2- Each output of ULN2003 is 0.5A but The the valve uses .8 A, is it reasonable to connect several inputs and outputs for driving the valve or should I use another IC to drive the valve? it's working but afraid if it brokes the ULN2003 in long time. Update 1: When a function generator is connected to input with no wave, Output of comparator is expected to be zero but it is a 50Hz Clock pulse as below. What I've done wrong? 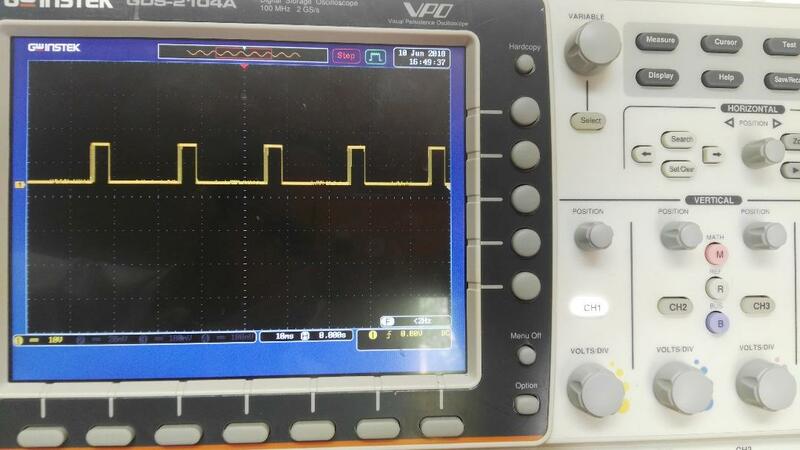 Output when there is no signal and connected to PC or function generator. You can parallel the drivers on a single chip and expect them to share current reasonably well, since they are matched (being all created with the same process). 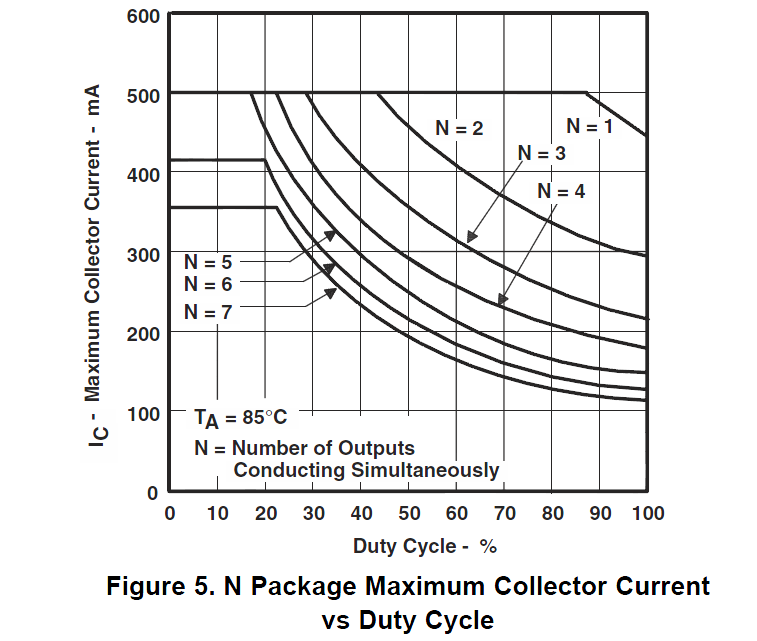 It looks like even with 7 outputs in parallel it's a bit marginal at 85°C ,maximum Ta. It would be worse for an SMT package. I suggest using a MOSFET and flyback diode. I changed the pull down resistor (Changed all parts one by one) and it's working now! Not the answer you're looking for? Browse other questions tagged operational-amplifier comparator darlington solenoid-valve uln2003 or ask your own question. 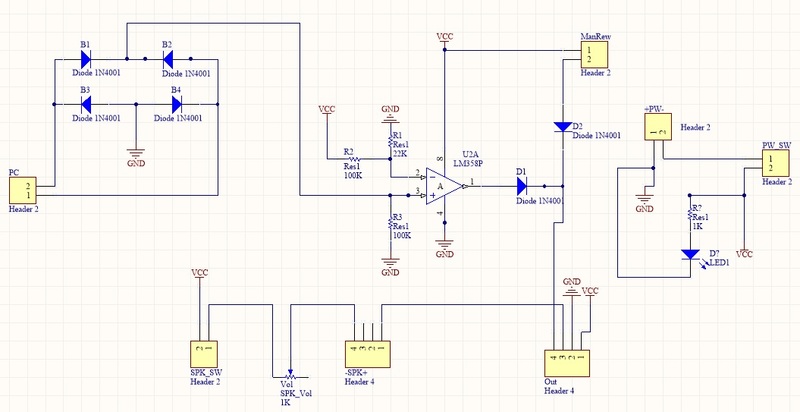 How to vary amplitude of my custom pulse generator?